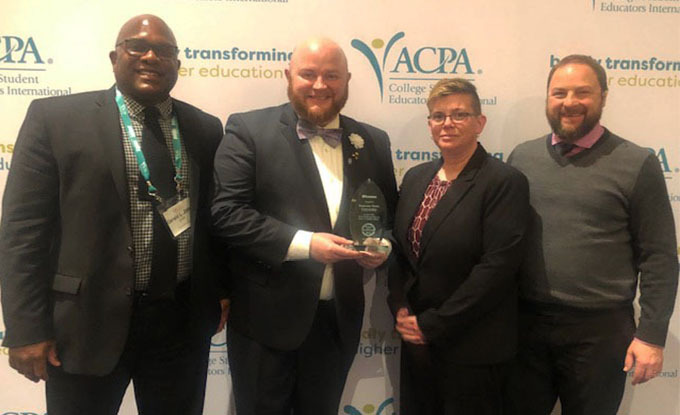 (left to right) Student Affairs staff Gerald Jones, Ryan Jasen Henne, Stacey Murray and Dean Kennedy accept an award recognizing SSU as one of the "Most Promising Paces to Work in Student Affairs" at the 2019 ACPA Awards. 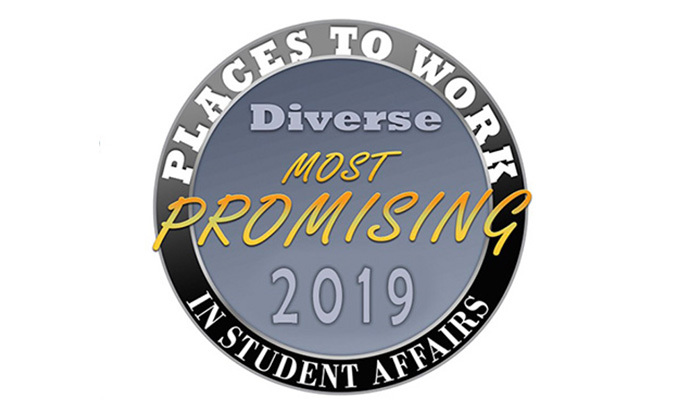 Sonoma was selected from hundreds of higher education institutions throughout the nation to receive the award for its emphasis on organizational structure, workplace diversity, staffing practices and workplace climate and environment. Additional categories included salary and benefits, staff training and educational and professional development opportunities. SSU is one of three California State University campuses to receive the national award this year, joining CSU Channel Islands and Cal Poly San Luis Obispo. In compiling this year’s list of honorees, a research team used a web-based survey to examine categories such as family friendliness, salary and benefits and professional development opportunities. 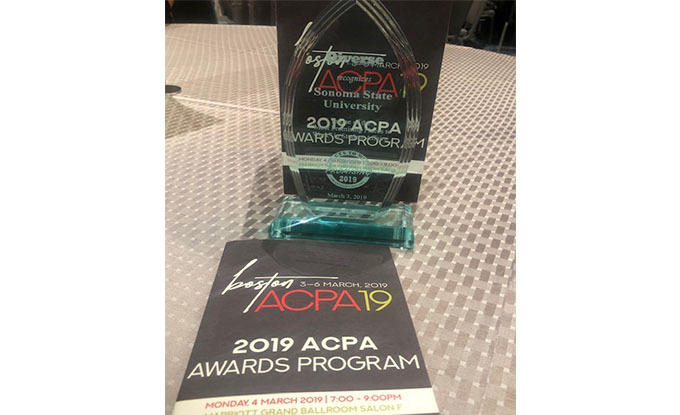 The colleges and universities will be recognized for these distinctions during the ACPA—College Student Educators International annual meeting, which will take place from March 3 to March 6 in Boston. The full findings and rankings will be published in the March 7 edition of Diverse magazine. Paul Gullixson, a veteran Sonoma County journalist, has been named Associate Vice President for Strategic Communications at Sonoma State University, effective April 9. Dr. Greg Sawyer, a seasoned higher education professional whose work has impacted the lives of thousands of students, will become the Vice President for Student Affairs at Sonoma State University, effective April 1.